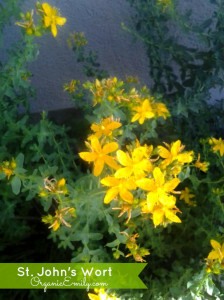 St. John’s Wort is a sun-loving, hardy perennial, which prefers a more dry soil. However, it isn’t too picky and will adapt in most places. 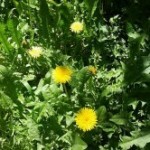 It grows best in zones 3-9 and prefers a Ph of 6 to 7, making it an ideal medicinal plant to grow in Utah. There are many hybrid forms of St. John’s Wort that look pretty and provide pollen for honey bees, however, they do not hold the medicinal properties like the species H. perforatum. When gathering the fresh flowers for use, make sure it is on a sunny day when the buds have just opened. I usually go out every morning and the new ones that have just opened over night. You can tell they are ready because they will leave a reddish purple stain on your fingers. The optimum window for harvesting is usually mid June to the first of July. Some say that the peak of harvest is on June 24th! 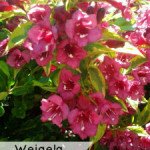 I have found that I can get a little more as I continue to pick the blossoms on a regular basis. 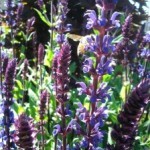 This is another great one to attract honey bees and other pollinators. St. John’s Wort can be very effective for treating mild depression, anxiety, stress, tension and nerve damage. Like many herbs it needs to be used over a long period of time to feel the full effects, usually 2-3 weeks at a time. It is known that the hyperforin found in the plant is an important constituent contributing to emotional stability by slowing the uptake of the “feel good” neurotransmitters like dopamine, serotonin and noradrenaline, allowing them to circulate longer in the body. A word of caution to some who may become sensitive to the sun. If this is the case discontinue using St. John’s Wort and soak in the vitamin D instead! 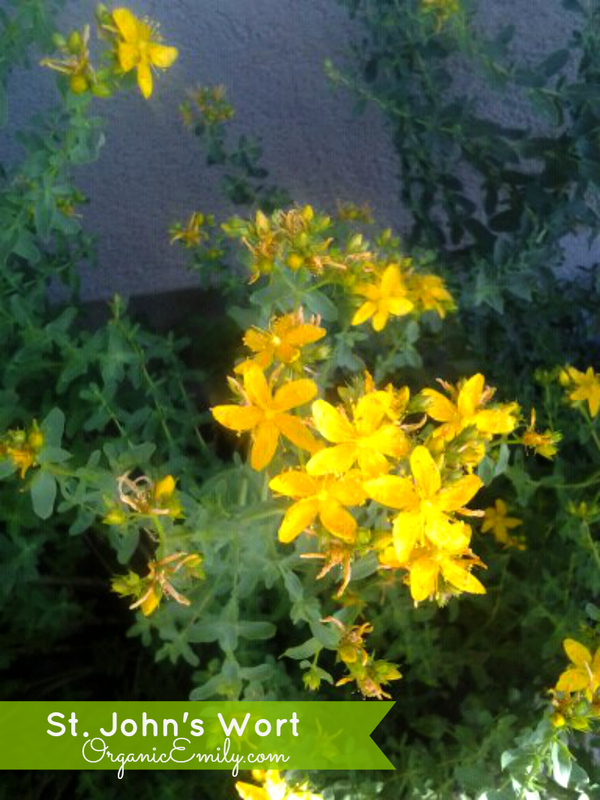 St. John’s Wort is also know to be an anti-inflammatory, anti-bacterial, and anti-viral, which makes it useful for treating bacterial and viral infections like shingles and herpes. 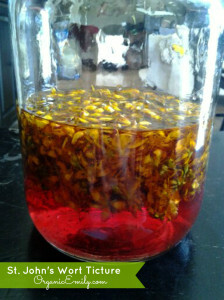 St. John’s Wort red rich oil is made from the fresh flowers and is a very good remedy for trauma to the skin. It can be applied topically to soothe and heal bruises, sprains, burns, and injuries of all kinds. It also relieves pain and promotes healthy tissue repair. I add garlic to my St, John’s Wort oil for earaches too! As I have gathered St. John’s Wort fresh flowers and buds every morning I have simply kept adding them to the oil. Eventually it will turn a beautiful deep red. This particular oil has garlic added to it. Making it a great oil for earaches. You can certainly make it just with St. John’s Wort too. The best ratio between buds, flowers and leaves for the oil is to use 70% buds and 30% flowers and leaves. Cover the flowers and buds with an inch or two of oil. I like to use olive oil. Set in a sunny window for 2-4 weeks. The deeper the red color, the more powerful the medicinal properties will be. When it’s ready strain and bottle. To use simply spread the oil over a burn, bruise, cut or other skin injury. It can also be used with garlic for an ear oil helping with pain and infection. Use 2-3 drops 3-4x daily. 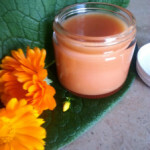 Another great oil can be made for a skin salve. Use 1 part calendula flowers, 1 part comfrey leaves, 1 part St. John’s Wort leaf and flower. Cover with olive oil by 1-2 inches and let steep for 2-4 weeks. Strain and bottle. For each cup of medicinal oil, use 1/4 cup beeswax to make a salve. Heat the oil and beeswax together, until the wax is melted. Be careful it is extremely hot! Test to make sure it is the consistency you want, by taking a small spoon, dipping it into the mixture and then putting it into the freezer for a few minutes to see how it sets up. If you want it softer, add more oil. 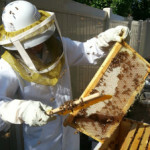 If you want a more firm salv,e add more beeswax. It’s very simple. Once it is the consistency you desire add it immediately to jars and keep in the refrigerator for storage. St. John’s Wort tincture can be made with either vegetable glycerin or an 80 or 100 proof alcohol like vodka. I like to use vegetable glycerin for my family and the vodka for long term storage. The glycerin tinctures last only 2-3 years. Tinctures made with alcohol can last a very long time. This picture shows the beautiful red medicinal properties being pulled out of the flowers within just a few hours from the alcohol. 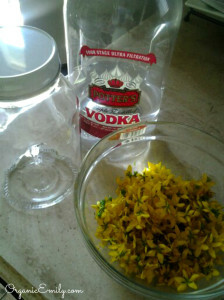 Place freshly picked flowers and buds into a glass jar. Fill with a 1:1 ratio of water and vegetable glycerin or straight vodka. Cover with 1-2 inches of liquid and let steep on the counter for 2-4 weeks. Strain and bottle. 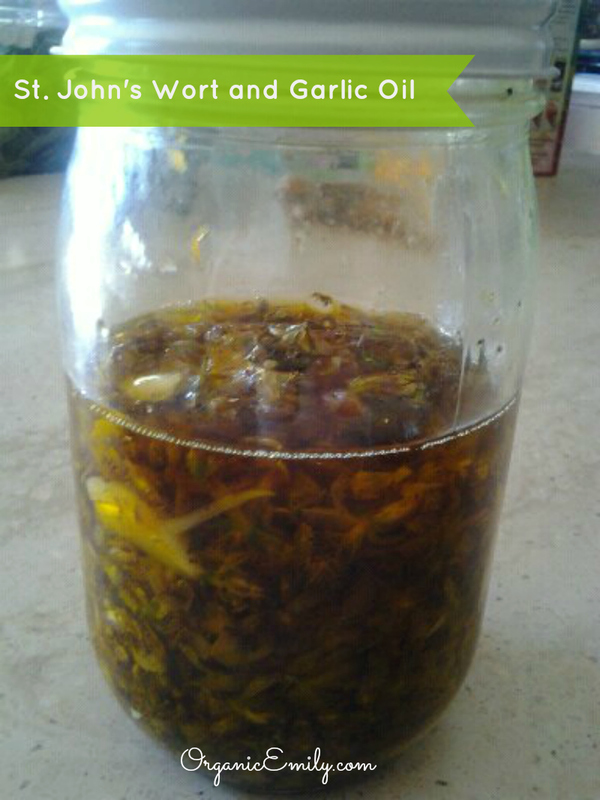 Use 1/2 to 1 teaspoon tincture twice daily for 3 weeks. Or alternately for 5 days on and 2 days off. This is especially good for those who struggle with mild depression from the darker days in the winter that comes with the changes of the seasons. Be sure to stay active and get as much sunshine as possible. It can also be used for pain in the same way. Emily is a Master Gardener, wife of a professional landscape contractor, homeschool mom of 7 cute kids, yoga/pilates instructor and very passionate advocate of organic home-grown food! Emily maintains a blog called “The Organic Suburban Farm Girl” where she shares gardening advice, delicious recipes made with fresh, organic ingredients, herbal and natural home care products and her escapades as the keeper of both backyard chickens and honeybees! I’ve heard you can. I generally pick mine fresh and use them right away. 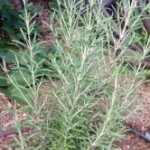 I have you ever used dried St. John’s Wort to steep in oil? Emily is a Master Gardener, wife of a professional landscape contractor, homeschool mom of 7 cute kids, yoga/pilates instructor and very passionate advocate of organic home-grown food! Emily maintains a blog called "The Organic Suburban Farm Girl" where she shares gardening advice, delicious recipes made with fresh, organic ingredients, herbal and natural home care products and her escapades as the keeper of both backyard chickens and honeybees!